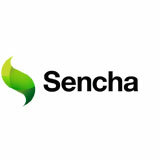 Full access to Sencha documentation, forums, and resources. Building robust, functional, attractive applications and components that perform well on all devices and platforms is a time consuming and costly undertaking. Developers need a comprehensive solution that includes a fully supported, pre-built component library to build applications quickly and efficiently, so that businesses can get their apps to market faster and with better usability. In many cases, commercial component libraries used in conjunction with open source frameworks offer the best of both worlds. Learn top considerations for choosing your technology stack as it relates to developing enterprise-grade web applications today.